Connecticut medical and controlled substance licenses for Frederick J. Rau, MD. Connecticut medical license profile for Frederick J. Rau, MD. Controlled substance license for Frederick J. Rau, MD. Connecticut controlled substance license for Frederick J. Rau, MD, valid through 02-28-2019. Staffing chart for Hartford Gyn Center abortion clinic. Note physicians' list includes Fred Rau, MD. 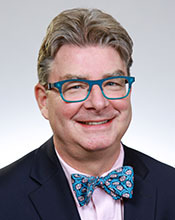 Photo bio for Frederick J. Rau, MD, at Women's Health CT online website.